As we move into the Fourth Industrial Revolution, A.I. is profoundly revolutionising the way we live and work, driving change across every single industry. 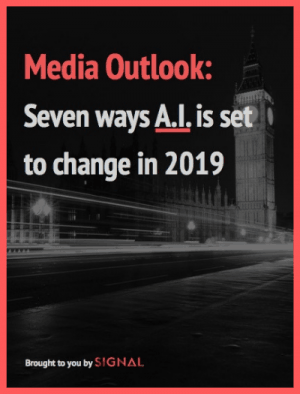 2019 is already proving to be a turning point in PR and Comms – this year coverage on A.I. in the media relations space has increased five-fold compared to last year. For more on this, and six other industries we see facing critical changes in 2019, download our report here.